MASANGSOFT released 3D flight action game ACEonline-DuelX VR. MASANGSOFT launched a 3D flight action game ACEonline-DuelX VR. It was created using the IP of the SF flight shooting MMORPG ACEonline. 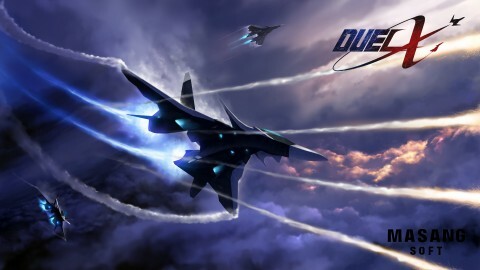 ACEonline-DuelX VR was created using the IP of the SF flight shooting MMORPG ‘ACE Online’, which is being developed and serviced by the company. ACEonline-DuelX VR is a 3D Flight shooting game featuring stylish action. Its flight actions are fully implemented through easy manipulation. It provides attractive scenarios and ample stages. It also features a wide range of individual gears, allowing users to play freely. ‘ACEonline-DuelX VR' can be downloaded from Oculus Market now. MASANGSOFT is a game developer and publisher specialized in PC Online, Mobile, VR titles. Founded in 2004, the flagship product ‘ACE Online’ is now serviced under 16 languages. It also develops and service unique online titles like ‘DK Online’, ‘Pristontale’, ‘Fishing Hero’, ‘Gunz’,‘Call of Chaos‘,‘Skid Rush’, ’Laghaim‘, ’Microvolts‘ globally. In addition, unique mobile contents like ‘Zombie pang’,‘ACE-X’,‘ Airwars VR’ are also under development by its mobile studio.